2017 comes to a close with another amazing Installation Of The Month. Congratulations to Guy, Sara and the whole team at Smartcomm for this incredible project! This open entertainment space includes a (well stocked) bar, with TVs and a pool table. The cinema uses Artcoustic Spitfire 16-8s for LCR, together with two Spitfire Control 3 subs, and Architect SL 4-2s in the ceiling for the rears. This project was also recognised in this year's EMEA CEDIA Awards as a finalist in the 'Best Integrated Home - Level III - £240K-£360K' category. The Spitfire 16-8 is used behind the acoustically transparent screen and is capable of delivering incredible dynamic range. 101 dB sensitivity means that 105 dB (plus headroom) is easily achievable in this room, and with very little power. This model will play 105 dB at 5m distance with just 65 W of power! The Spitfire Control 3 is ideal for high performance cinema systems, with an incredible transient response and control below 20Hz. Crucially, the form factor is very practical, allowing for easy and discrete installation. Congratulations to the whole team at Rayleigh HiFi for this amazing installation! 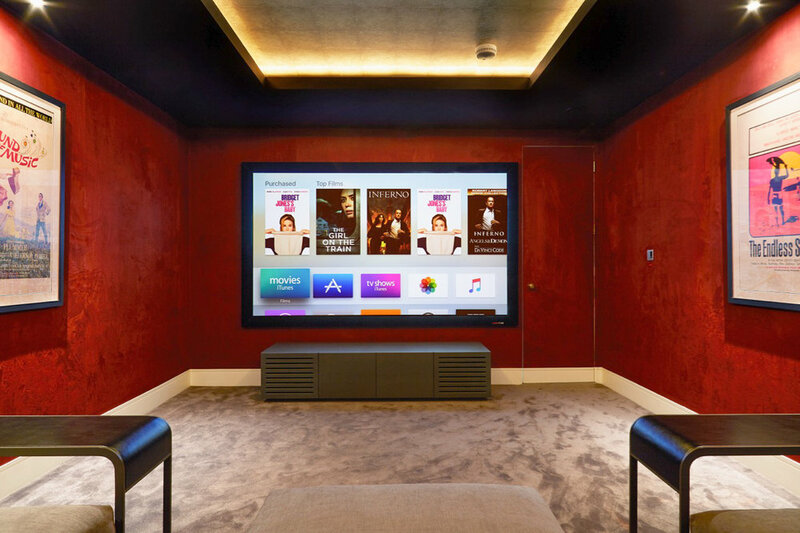 Challenged with a very unusual room, an unused part of a wine cellar beneath the house, the team at Rayleigh HiFi managed to design and install a superb cinema system for the clients. The budget was quite tight to achieve this room, but using the Artcoustic HSPL Soundbar as an all in one LCR, together with Target SL and an Impact 1 SL subwoofer, the client enjoys a very well considered, well designed and great sounding system. The Artcoustic HSPL Soundbar sits just below the screen when in use, delivering left, centre and right channels from this single speaker. When the system is no longer in use, the screen disappears into the ceiling mounted case, retaining the original feel of this wine cellar. 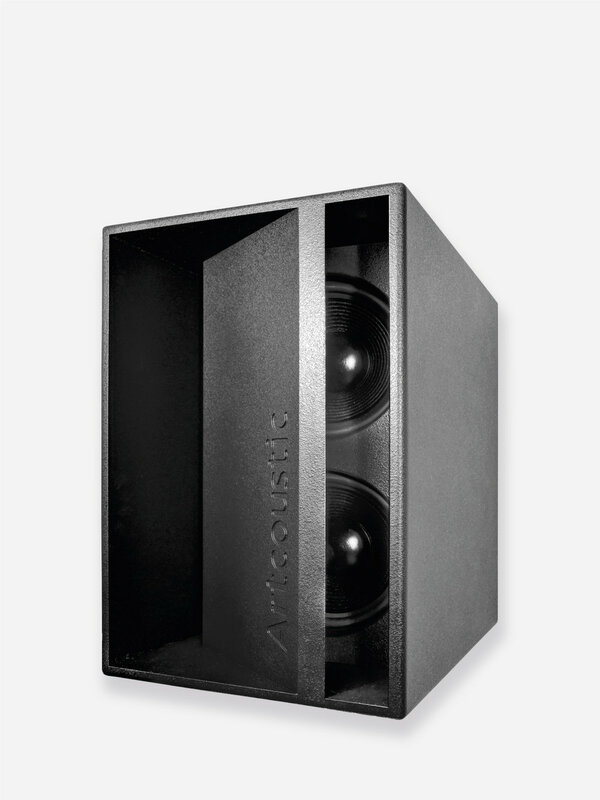 Artcoustic pioneered the concept of an all-in-one LCR (Left, Centre and Right) Soundbar as far back as 1998. 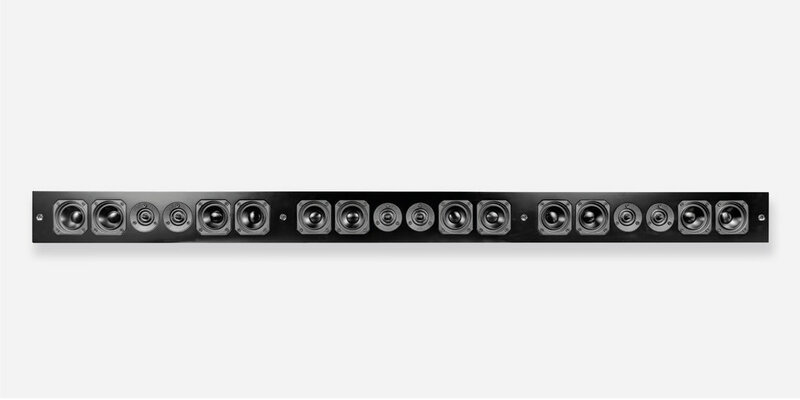 The HSPL Soundbar SL is a high sound pressure level version of the Artcoustic Multi Soundbar SL and has been specially designed and engineered for large format LED and none-perforated projection screens and in general for application where very high sound pressure levels are required. It matches the larger Artcoustic speaker models, such as the SL 12-6 and the SL 24-12. As well as the the Multi Soundbar SL, the HSPL version can be used as a single LCR loudspeaker, or for more powerful systems used as a single mono centre channel. Artcoustic speakers are used throughout in this amazing Dolby Atmos 7.2.4 system, with Spitfire 4-2s used for the LCR, and Architect SL 2-1s for the listener level surrounds and overheads. The Architect series is used in both the ceiling and the walls for this installation. They have the same tonality and timbre as the rest of the Artcoustic range, but with a different installation option. 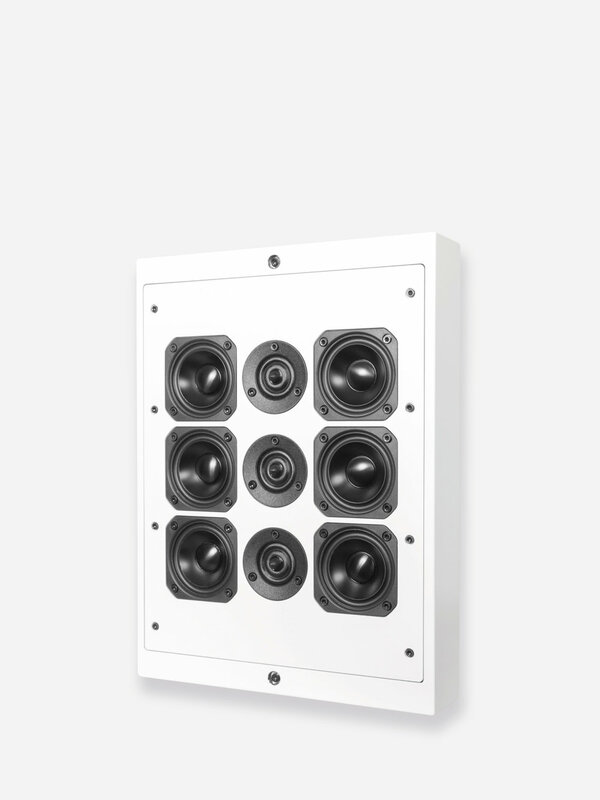 The Architect SL 2-1s (used here) are often installed in ceilings, but can also be installed into walls to reduce the depth that would be part of using the Target SL - it's on wall equivalent. Spitfire 6-3s are used for the LCR, with Control 2 subwoofers and Target SLs for the side and rears. Architect SL 2-1s are used for the overhead speakers in the ceiling. Congratulations to Nic and the team at Pyramid AV in Plymouth, UK, for this amazing installation! This incredible system features Artcoustic Spitfire 8-4 and 6-3, together with Architect SL 2-1 and Spitfire Control 2 subwoofers in a superb Dolby Atmos 9.2.6 system. 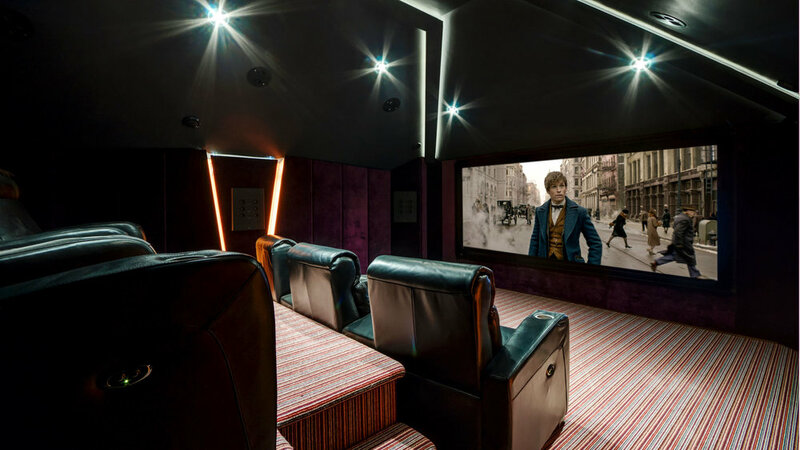 The detail and precision that went into the technical design of this room is incredible, and has been rewarded by being shortlisted in the 2017 CEDIA EMEA Awards for 'Best Home Cinema £40K-£120K'. Congratulations to Andy and the team at Webstract, in the UK, for this stunning project! Artcoustic speakers are used throughout this beautiful property, with 40-30 SL 6-3 and an Impact 2 subwoofer installed in the open plan dining area. In ceiling Architect SL 2-1s are used in the kitchen area, and Architect SL 4-2s in the lounge space, tonally matching the audio throughout. 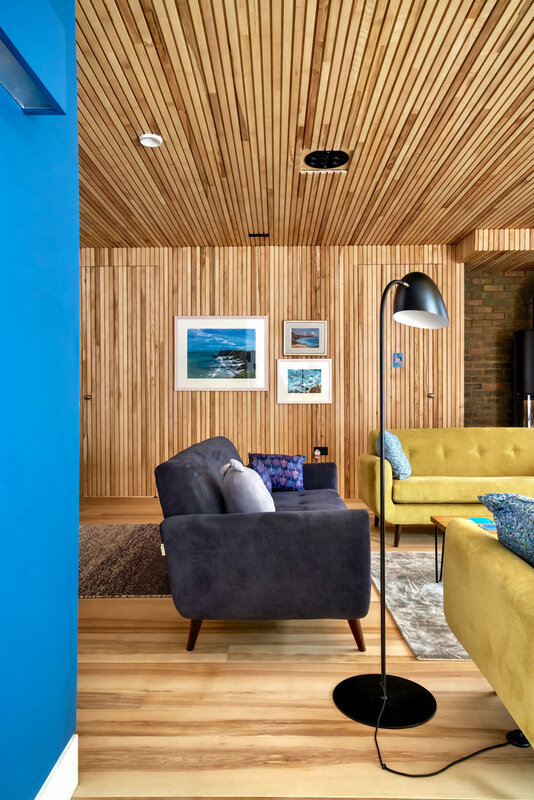 The TV room is separated from the open plan main living space, allowing for a serious audio system to be designed and installed, naturally with Dolby Atmos. The 5.1.2 configuration is achieved with SL 4-2 left and right of the screen, with a Multi SL Soundbar beneath for the centre channel. Rear channels are Target SL, with Architect SL 2-1 for the overheads. An Impact 2 subwoofer delivers the LFE, and the finished system looks and sounds superb. 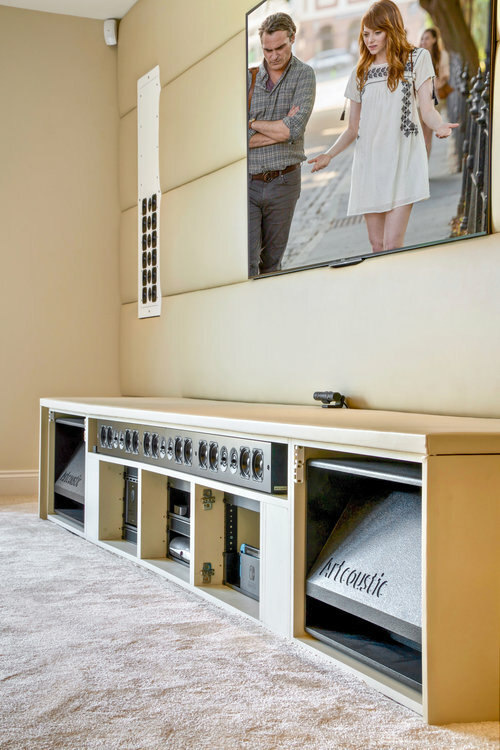 The 40-30 SL 6-3, together with an Impact 2 subwoofer, is used for the main source in this open plan home. The 6-3 configuration has a sensitivity of 98db, and can play up to 115db, making it an incredibly dynamic option. Partnered with an appropriate subwoofer such as the Impact 2 or Impact 3, and the end result can be superb. The 6-3 variation is available in the compact form of the 40-30 SL (40cm x 30cm), as well as the SL 6-3 (50cm x 37cm) and the Spitfire 6-3, depending upon application and aesthetics. The performance remains the same. 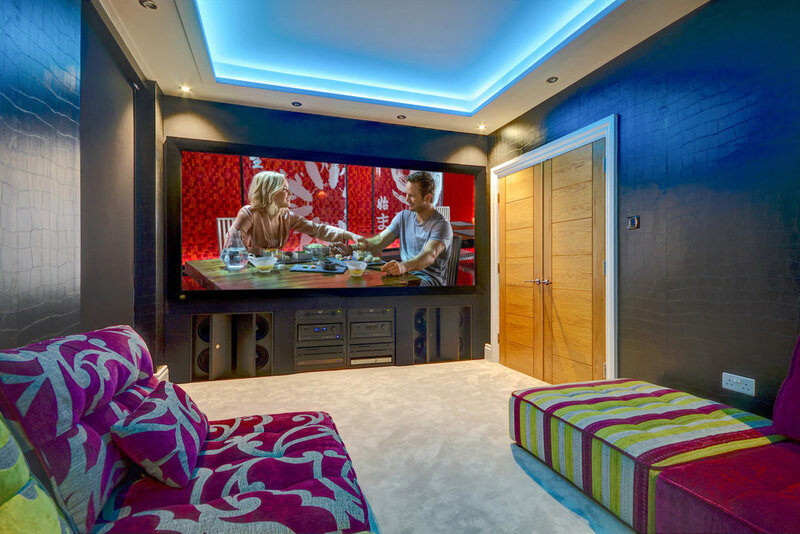 Congratulations to Iain at the whole team at iCubed Home Cinema for June's stunning Installation Of The Month. 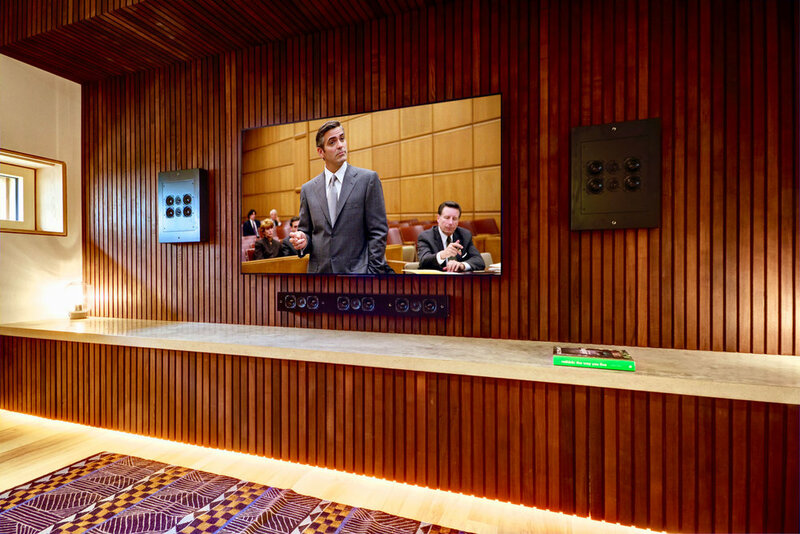 This flexible system offers a discrete TV system for during the day, with a drop down projector screen coming into play for the all important evenings of movies and sporting events. 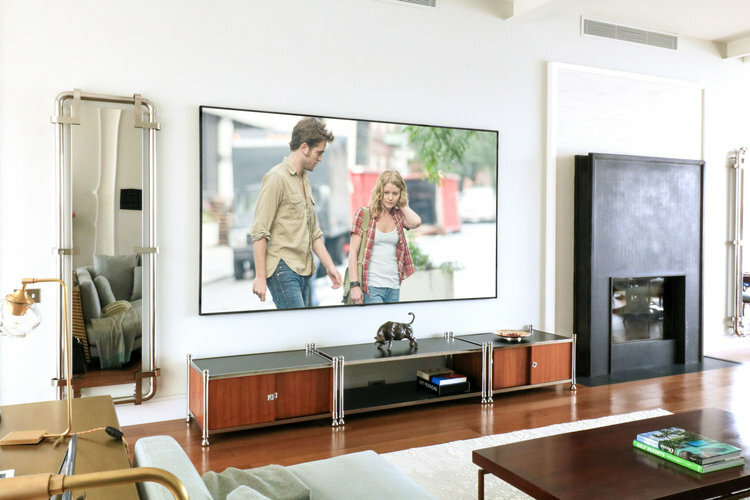 SL 12-6s are used for the left and right channels, with a technically matching HSPL Soundbar used for the centre channel and built discretely into the low level cabinetry. Two Performance PS2 Subwoofers are also built into the cabinets, and deliver an amazingly punchy, deep bass for the system. SL 4-2s and Architect SL 4-2s complete this 5.2.2 Dolby Atmos system. This system features two of the brand new Performance PS2 subwoofers, built into the cabinetry beneath the screen. Having launched to an amazing response at ISE earlier this year, and again at EI Live!, the Performance PS2 has been a hugely popular new addition to the product line up. 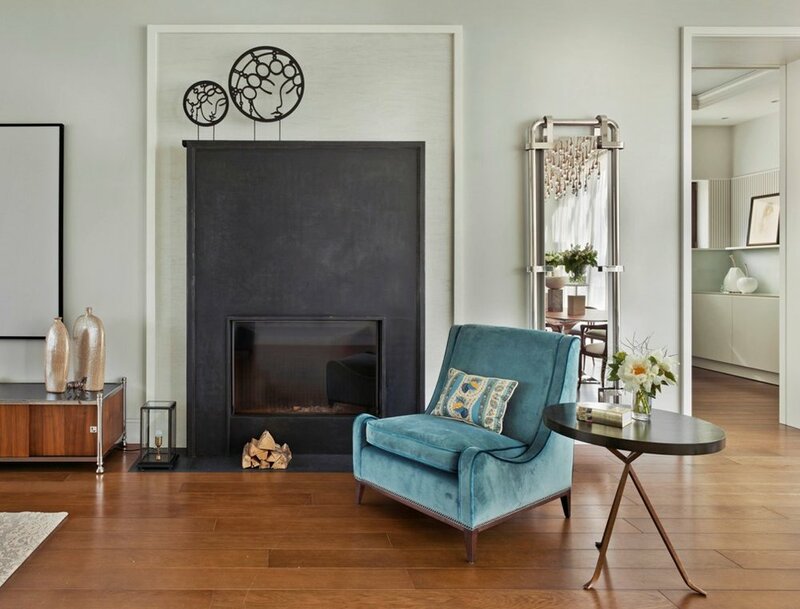 It's low profile, forward firing design makes it ideal to be installed into furniture and cabinetry, as shown beautifully in this superb installation. 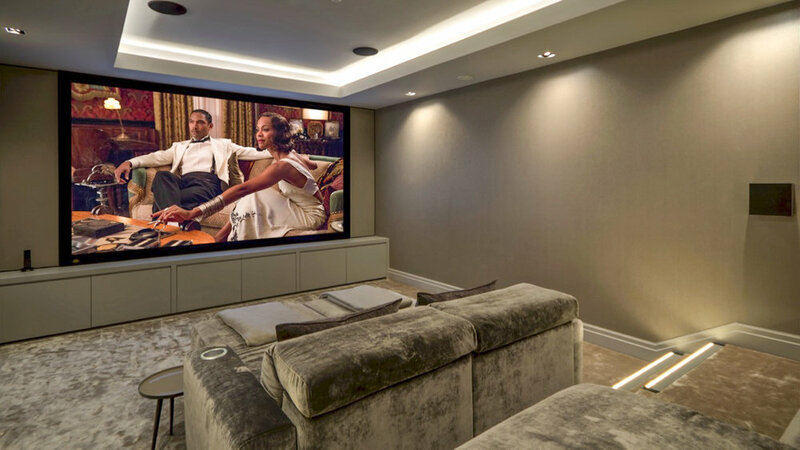 iCubed Home Cinema worked very closely with 3D AV System visualisation specialists, Sinemas, to design this room and system. These renders were presented, along with a demonstration at the Artcoustic showroom, and the clients were absolutely thrilled. They loved the look of their new room, as well as being amazed by the performance of it. Once installed, the system looks remarkably similar to these 3D renders. Congratulations to the team at Home Integration in Taiwan for May's superb Installation Of The Month! This beautifully elegant apartment now has one of the first systems with the new TAAA speakers, installed in this case as a 2.1 system either side of a TV. The SL 24-12s are partnered with an Impact 2 Subwoofer, for a luxurious and stylish system that sounds absolutely incredible. The new TAAA Artcoustic array speakers are the best we have ever produced, taking our exceptionally powerful and dynamic 12-6, 16-8 and 24-12 arrays even further. The Time Aligned Aleksei Array produces a loudspeaker like no other. Sensitivity up to 110db/1m ensures endless dynamic range using even the most modest of amplification. The new time aligned design focuses the phase between each of the array elements. This ensures a superbly accurate, dynamic sound, with an incredibly flat frequency response. Congratulations to Luke, Chris and the whole team at Modus Vivendi for this superb cinema installation! Artcoustic speakers are used throughout in this amazing Dolby Atmos 7.2.4 system, with Spitfire 6-3s used for the LCR, Control 2 subwoofers, SL 4-2 for the side and rears, and Architect SL 4-2s overhead. 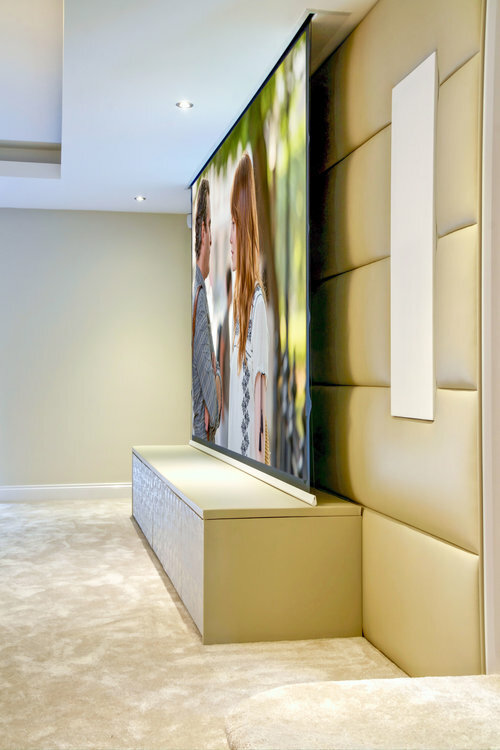 The result is a technically excellent system, designed very carefully to ensure amazing performance, with a relaxed aesthetic for family evenings watching the latest movie. Spitfire 6-3s are installed behind the acoustically transparent screen along with 2 x Spitfire Control 2 subwoofers. The Spitfire 6-3 has a sensitivity rating of 95 db, meaning that in the listening position, reference level 105 db is achievable with ease, and with under 50W of power. Our full range of speakers, from the Spitfire 4-2 through to the 24-12, enable cinema designers to choose the correct model for the correct application. 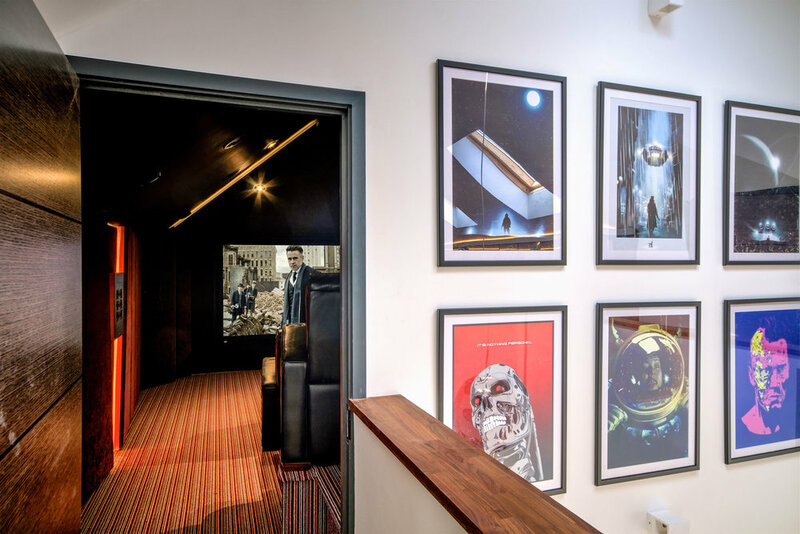 Home Cinema & Beyond in UK win March's Installation Of the Month for this incredible project! 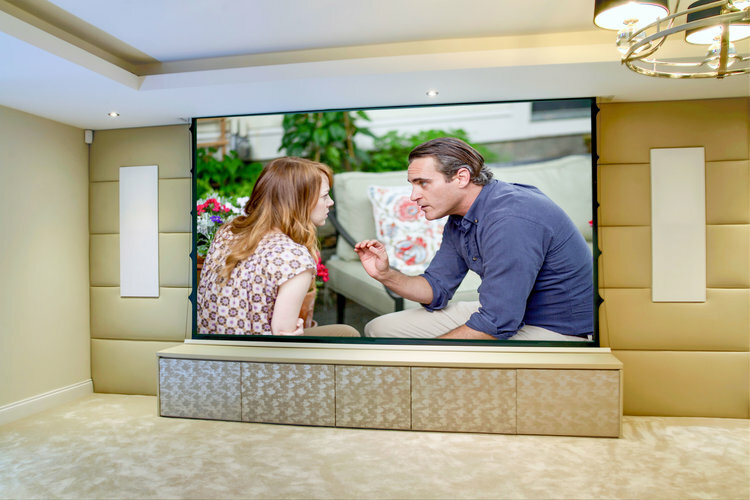 These two amazing entertainment rooms deliver outstanding performance, and lots of fun! 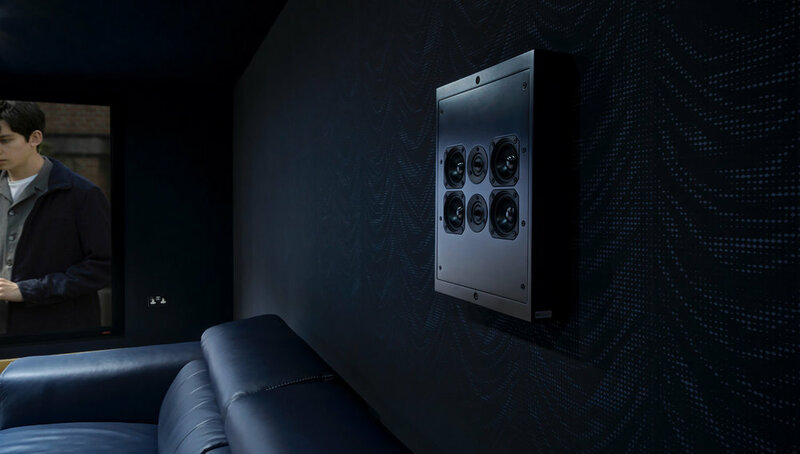 One room is designed as a superb cinema system, with endless dynamics and power (3 x Spitfire 24-12, 2 x Performance PS4 subs...7.2.4!! 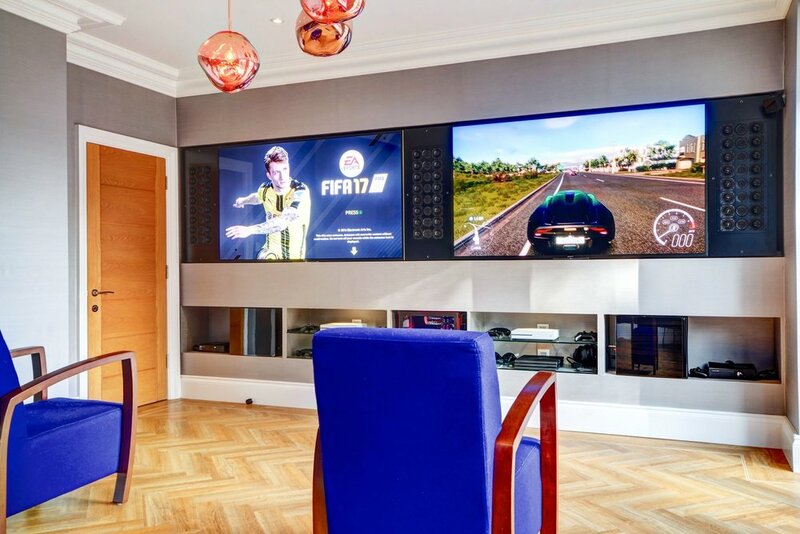 ), the other room as a state of the art space for Xbox and Playstation gaming with bespoke sized Spitfire 16-8s. Four Sl C1s are used for the side and rear speakers. Lateral masking delivers both 16:9 and 2.35 images superbly. Three Spitfire 24-12 loudspeakers are installed behind the acoustically transparent screen, delivering exceptional power and dynamics. At 110db sensitivity, this will play up to 130db! In a room this size, the amplifier will need to deliver no more than 10 Watts to produce the 105db reference peak levels! No distortion results in an amazingly effortless sound. The Performance PS4 subwoofer is also incredibly powerful and two of them in this room will play over the 115db required. Two positioned beneath the screen makes for a stunning look and sounds amazing. The games room next door has two 65" screens for competitive local games, with 2 Xbox Ones, 2 Playstation 4s and a state of the art PC for VR and more. Superb fun! Congratulations to Rayleigh HiFi in the UK, who win January's Installation Of The Month with these two systems within this beautiful home! 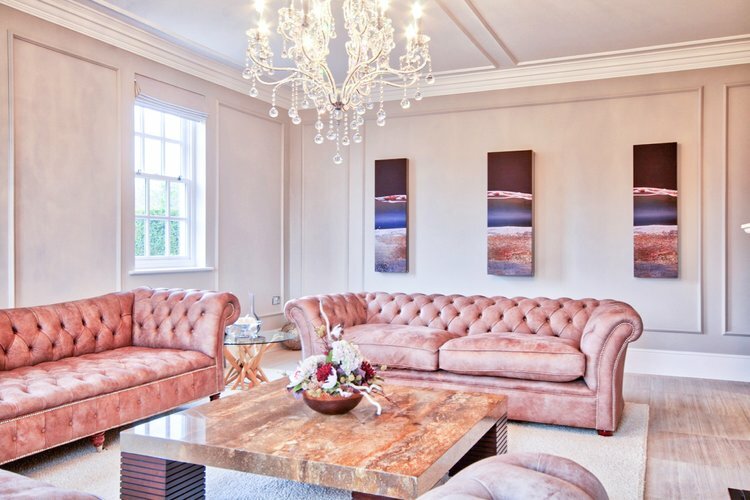 The formal lounge uses 2 Artcoustic 120-36 together with a 120-43 subwoofer to deliver superb 2.1 audio whilst maintaining the stunning aesthetics of the room. The open plan kitchen and living room enjoy a superb TV system with Artcoustic 6-3 arrays with Multi SL Soundbar and Modular SLs. It's a superb installation, perfectly calibrated and sounds as good as it looks.